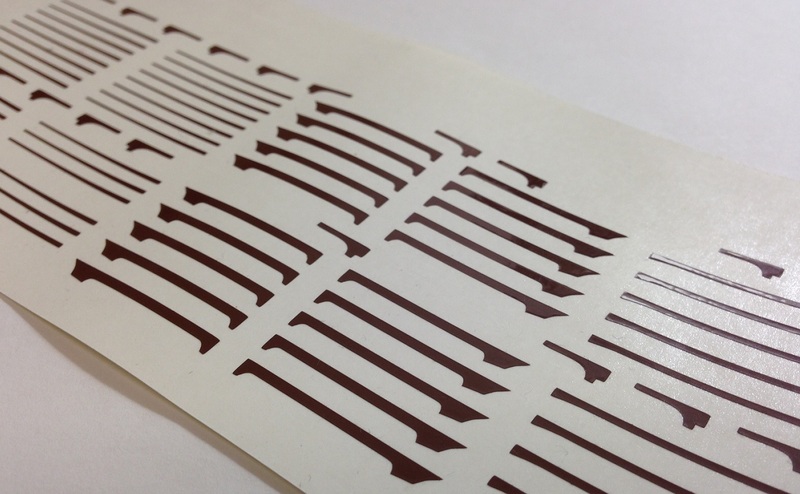 Self-adhesive plastic plotter films allow you to make model labels or other monochrome decorations quick and easy. We offer a wide selection of colors. All that is required is a vector drawing that can be created by us according to your specifications. Single pieces and large quantities are possible. For thin flat plastic sheets with curves, engravings or ornaments that are difficult to cut by hand the laser cut ist the best choice. Small quantities can be realized with very short production time and without expensive die-cutting forms. All that is needed is a vector drawing that can be created by us if you dont have a file yet.